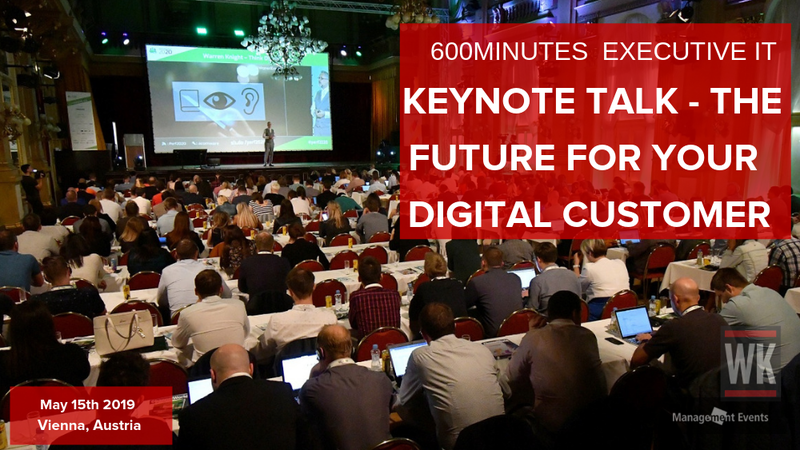 On the 15th May 2019 Warren Knight is delivering a keynote at “600 Minutes Executive IT” in Vienna, Austria. Warren’s talk ‘The future for your digital customer’ will share with his audience how everyone in the banking world can use technology to help their operation engage customers, grow and be sustainable. Warren will share his online methodology around how building brand awareness and marketing to your niche target audience can decrease the length of time in the sales cycle and build customer retention by having a mindset shift and using the latest technology. 600Minutes Executive IT is an event that aims to cover a wide spectrum of IT investments, including IoT, blockchain and AI. Delegates will be able to join discussions on IT security, digital talents and business process outsourcing, and how to bring a competitive edge to their organisations. There will also be opportunities to build valuable connections with sustainable business partners.